Colocation America is your one-stop shop for colocation hosting and managed IT solutions. Situated in the renowned One Wilshire building, AON Center, Quimby Building, Telecom Center, and 7th Street in downtown Los Angeles, coupled with our locations in San Francisco, New York, New Jersey and Chicago. Our world- class data centers have been specially engineered to provide you with the highest degree of uptime and reliability.With access to more than 200 premier Tier-1 carriers, we offer what is virtually an unlimited network capacity, while simultaneously managing your IT systems based on your exact requirements and specifications. Power utilization is possibly the main issue for co-location facilities today. 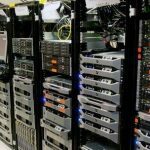 The growth of 1U colocation (one rack unit), 2U Colocation, 4U Colocation, 1/4 rack colocation, 1/2 rack colocation, Full rack colocation and blade servers has increased the potential power needs for each unit. The typical rack + power formula was that every rack would acquire a 20A (Amp) circuit, which would only be somewhat used in a set point.The emergence of capacity hungry technology has wrought some changes in the power demands that consumers place in co-location providers:Whereas some time ago a individual 20A circuit per cabinet had average power request of 2x 30A or 2x20A circuit, on behalf of an roughly 30% raise over the last three years. Customers are now using more of the circuits they order. An average customer may have previously used the 10-12 A per rack, a small part of a 20A circuit. Now, colocation providers report that multiple customers now apply far more prepared existing capacity, only leaving enough headroom to restart the equipment when necessary. Due to the intensifying power desires, power pricing volatility and re-energized interest in the actual power consumption, countless colocation providers set out to cover the actual power expenditure data as part of pricing, altogether in response to increased customer demand. Please feel free to contact us for a complete list of more than 240 Tier-1 internet bandwidth providers in our network. Robust Electrical Capacity – The One Wilshire facility is specially engineered to deliver power 75 to150 watts per square foot at 480 volts on a 3-phase, 4-wire system. Our other locations, such as our 7th Street data center, all enjoy an incredibly robust electrical structure that more than meets all of our clients’ needs. Redundant Emergency Power Systems – Colocation America currently has a total of five backup generators to support our main power supply in the event of service interruptions or low voltage conditions. Our other locations throughout Los Angeles, San Francisco, and New York are equally equipped with power redundancy and quality generator backups. Reliable Fire Protection – We have a remarkable fire detection and prevention system in place to protect your vital systems and hardware. Our data centers are adequately equipped with a pre-action fire suppression system and receive the added benefit of building maintenance required to maintain the local fire/life/safety system. State of the Art Security – Our colocation hosting facilities are protected by 24/7-365 on-site physical security integrated with advanced video surveillance cameras and electronic card access systems to ensure that only authorized personnel can enter the building. In addition, the perimeter and all sensitive areas are monitored around-the-clock.